April was a very busy month full of different events, from Agora Asturias to the N7A. This month’s winner for the the Most ACTive Local of the Month is AEGEE-Sofia! Sofia was one of the 7 antennas that has organized N7A and proved, yet again, that they are an awesome antenna. They have contributed to the two Focus Areas: Spreading Europtimism and Civic Education by organizing different discussions, one of them was “Why Europe needs youth?, to promotion of the healthy and sustainable lifestyle and active participation among young people. We spoke to Vesela Gerganska, Public Relations Responsible of AEGEE-Sofia to find out more about what they did and what are their plans! First of all, congratulations! ​As we would like to get to know this month’s winner, could you tell us a bit more about your local? Vesela: AEGEE-Sofia is not a big local, but it is like a family to most of its members. The antenna was established in the beginning of the 1990s. 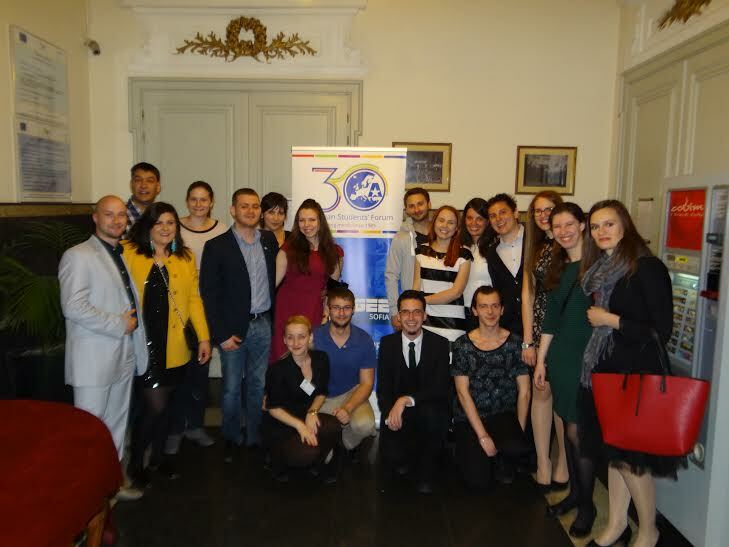 In 1992 the local became part of the Network of AEGEE- Europe and ever since that moment, the number of members varies between 30 and 50 people. This mostly depends on the time of the year. Usually, the peak period, when most of the members are extremely active, is just before the Summer Universities start. We have around 10-15 active to members. I’m glad to say that in the past year and a half we got some new members who demonstrated their motivation and devotion to AEGEE since day one. It’s hard to define the exact number of activities that we organise every year. We have both local and European activities and events every year. ​You ​were one of the seven locals that ​​organised the Night of the Seven Antennae, which is also the reason you were chosen as ​the ACTive Local of the Month. Can you tell us a bit more about ​your event? 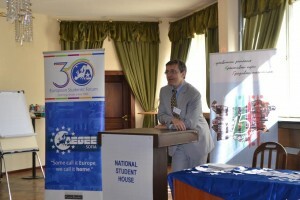 The event was held between the 16th and 19th of April. Our participants got to spend four amazing days in Sofia and share their thoughts, opinions and views with young Bulgarians. The programme of the event was divided into three parts and included various discussions on topics concerning the youth and its role in the changing processes in Europe, sport activities (football competition) and social events. The discussions were held at the National Student House and gave local young people, members of other Bulgarian non-governmental organisations, to interact with local decision makers, members of Sofia municipality and representatives from AEGEE-Europe and Association des Amis de Frank Biancheri. I’d say that the moment that everyone appreciated the most was the livestreaming and the talks with the other six antennae. The seven antennae were able to share their experience and findings from the event. 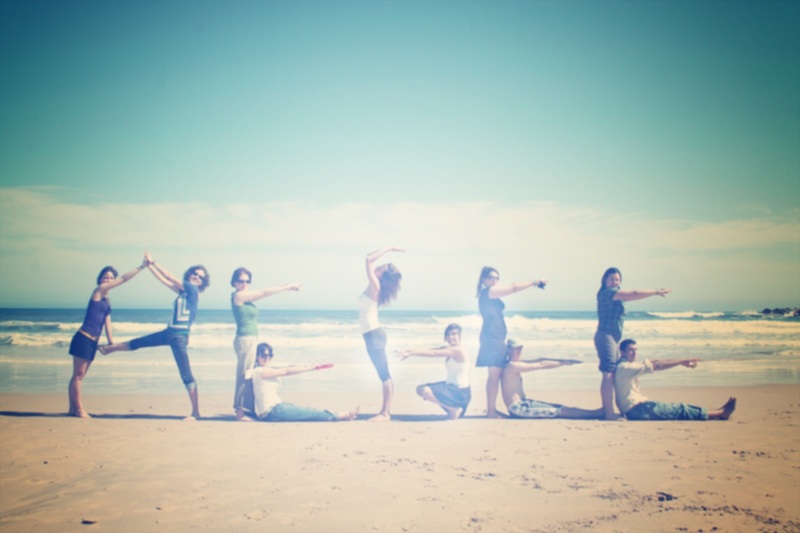 ​Why did you decide to organize this activity​? The decision to apply as one of the hosts of the celebration of the 30th Anniversary was initially made by the previous board members, but the execution of the project was done by the new one. 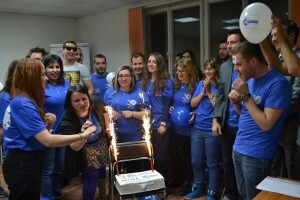 One of the main reasons was the fact that AEGEE-Sofia wanted to organise something that would be important for the young people; something meaningful, something that could be inspiring, and different from the previous events and projects. The Night of the Seven Antennae was a great opportunity to promote the concepts and beliefs of AEGEE and to spread the AEGEE spirit among as many young people as possible. Not to mention that the main aim was to repeat the events from 1986 which led to historical changes. The results of the event were quite impressive. Although the ratio between Bulgarian and international participants was in favor of the host country, all of the discussions were productive. During the World Café, where the participants were asked to interact with local people in the city centre, many ideas were generated. The final findings and conclusions are about to be summarised in a document. ​Why do you think the Action Agenda is important to the Network, and what would you say to another local that is thinking about organising something related to the Action Agenda? We share the opinion that the Action Agenda is of a great importance for the development and future improvement of the work in the Network. Moreover, the Action Agenda supports the implementation of the Strategic Plan and makes the activities more structured and united in specific thematic groups according to the Strategic Plan. Consequently, the locals can find many useful ideas for their events or activities in the Action Agenda Guidelines.The previous good experience and the practices could be used as a benchmark or baseline for future projects. Many things have been planned for the upcoming months but the most important one is the Travel Summer University that we’re organising with AEGEE-Niš – Balkan Beats. Almost all of the active members are focused and working on this event. 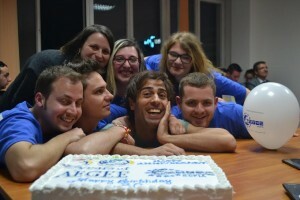 AEGEE-Sofia has certainly shown to the Network that it can be an example to other locals. What would you say to other locals that want to be as awesome as you? 1. Push yourself further than your comfort zone and don’t be afraid to challenge yourself. 2. If you need help – just ask. AEGEE is a family and family is always there to help! 3. Think big – the greatest ideas are usually outside of the familiar box. 4. If you have great ideas but, nobody takes you serious – try to deliver this idea like the others came up with it (never give up on your ideas!) Then you need just few people to support you and the idea can be turned into reality. 5. Communicate with your team! All the time! And say ‘thank you’. 6. Every experience can be useful and used as a baseline for future projects or events. 7. Don’t forget – you (the local) have the potential to make dreams come true!